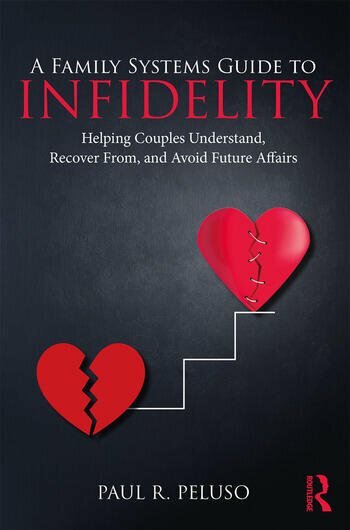 A Family Systems Guide to Infidelity offers an explanatory model and concrete techniques, enabling therapists and counselors to treat the core of a couple’s relationship problems instead of merely applying a therapeutic bandage. Chapters give therapists proven techniques to help couples redevelop trust, rebalance power, increase satisfaction, and recover from the wounds that infidelity causes. This text uses case studies from clinical practice, examples of public or historical figures, and scenarios from popular movies to illustrate concepts, and it provides a systemic explanatory model for understanding infidelity, one that focuses on marital dissatisfaction, power imbalances, unfulfilled dreams, and the discovery of infidelity. Paul R. Peluso, PhD, is Professor and Chair of the Department of Counselor Education at Florida Atlantic University and the Past President of the International Association of Marriage and Family Counseling (IAMFC). He is also the author/coauthor of six books—including Changing Aging, Changing Family Therapy: Practicing with 21st Century Realities—and the past editor of the journal Measurement and Evaluation in Counseling and Development.